حکیمی, عماد, امینی, سعید. (1394). بررسی میزان ورقه ورقه شدن در فرآیند فرزکاری مارپیچ بر روی کامپوزیت پلیمری تقویت شده با الیاف کربن. علوم و فناوری کامپوزیت, 2(4), 51-58. عماد حکیمی; سعید امینی. "بررسی میزان ورقه ورقه شدن در فرآیند فرزکاری مارپیچ بر روی کامپوزیت پلیمری تقویت شده با الیاف کربن". علوم و فناوری کامپوزیت, 2, 4, 1394, 51-58. حکیمی, عماد, امینی, سعید. (1394). 'بررسی میزان ورقه ورقه شدن در فرآیند فرزکاری مارپیچ بر روی کامپوزیت پلیمری تقویت شده با الیاف کربن', علوم و فناوری کامپوزیت, 2(4), pp. 51-58. حکیمی, عماد, امینی, سعید. بررسی میزان ورقه ورقه شدن در فرآیند فرزکاری مارپیچ بر روی کامپوزیت پلیمری تقویت شده با الیاف کربن. علوم و فناوری کامپوزیت, 1394; 2(4): 51-58. کامپوزیت‌های تقویت شده با الیاف کربن (CFRP) به‌علت داشتن نسبت استحکام بالا به وزن پایین روز به روز در صنایع مختلف، نظیر صنایع هوا فضا و خودروسازی در حال گسترش می‌باشند. با توجه به ضریب انبساط حرارتی متفاوت بین الیاف و رزین در کامپوزیت‌های پلیمری، سوراخ‌کاری این مواد یکی از عملیات مشکل برای ایجاد قطعات نهایی است. از این رو روش فرزکاری مارپیچ در سال‌های اخیر با توجه به کاهش نیرو در ماشین‌کاری و ایجاد سوراخ به‌صورت یک‌باره (بدون نیاز به پیش مته) یکی از روش‌های نوین برای سوراخ‌کاری CFRP می‌باشد. در این پژوهش به بررسی میزان ورقه ورقه شدن با توجه به نیرو و پارامتر‌های ماشین‌کاری پرداخته شده است. برای تعیین مقدار پیشروی، سرعت برشی و زاویه شیار مارپیچ ابتدا چندین آزمایش اجرا و بر این اساس سه سرعت برشی، چهار سرعت پیشروی و یک زاویه شیار مارپیچ تعیین شد. پس از اجرای آزمایش‌ها نتایج به‌دست آمده نشان داد، میزان ورقه ورقه شدن رابطه مستقیم با نیروی محوری در طی عملیات ماشین‌کاری دارد. همچنین قطر سوراخ تولید شده نیز از عوامل تاثیرگذار بر معیار ورقه ورقه شدن (Fd) است که افزایش سرعت برشی و کاهش میزان پیشروی سبب تولید سوراخ با دقت بالاتر و کاهش معیار ورقه ورقه شدن می‌شود. Carbon fiber-reinforced polymer composites (CFRP) due to the ratio high strength to weight down day by day growing in various industries, such as aerospace and automotive. Due to the different thermal expansion coefficient between the fibers and resin polymer composite drilling materials difficult to create one of the final parts. The helical milling method in the recent years due to the force reduction in machining and holes at once (no need to pre drill) is one of the new methods for drilling CFRP. In this study, amount delaminate to be explored according to force and machining parameters. For determine the amount of the feed, cutting speed and screw pitch the several tests was conducted and Therefore three cutting speed, four speeds feed and one screw pitch was determined. After the experimental results showed that amount delaminate has a direct relationship with the axial force during machining operations. Also diameter hole is produced factors influencing on the delamination factor (Fd). That increasing cutting speed and reduce feed production of the hole causes with to higher precision and reduced delamination factor. Sheikh-Ahmad, Y. J., “Machining of Polymer Composites, Springer,” pp. 187-210, 2009. Ishida, T. Noma, K. Kakinuma, Y. Aoyama, T. Hamada, S. Ogawa, H. and Higaino, T., “Helical Milling of Carbon Fiber Reinforced Plastics Using Ultrasonic Vibration and Liquid Nitrogen,” Procedia CIRP, Vol. 24, pp. 13-18, 2014. Henerichs, M. Voß, R. Harsch, D. Kuster, F. and Wegener, K., “Tool Life Time Extension with Nano-Crystalline Diamond Coatings for Drilling Carbon-Fibre Reinforced Plastics (CFRP),” Procedia CIRP, Vol. 24, pp. 125-129, 2014. Khairusshima, M. N. Hassan, C. C. Jaharah, A. G. Amin, A. K. M. and Idriss, A. M., “Effect of Chilled Air on Tool Wear and Workpiece Quality During Milling of Carbon Fibre-Reinforced Plastic,” Wear, Vol. 302, No. 1, pp. 1113-1123, 2013. Klotz, S. Gerstenmeyer, M. Zanger, F. and Schulze, V., “Influence of Clamping Systems During Drilling Carbon Fiber Reinforced Plastics,” Procedia CIRP, Vol. 13, pp. 208-213, 2014. Liu, J. Chen, G. Ji, C. Qin, X. Li, H. and Ren, C., “An Investigation of Workpiece Temperature Variation of Helical Milling for Carbon Fiber Reinforced Plastics (CFRP),” International Journal of Machine Tools and Manufacture, Vol. 86, pp. 89-103, 2014. Klotz, S. Zanger, F. and Schulze, V., “Influence of Clamping Systems during Milling of Carbon Fiber Reinforced Composites,” Procedia CIRP, Vol. 24, pp. 38-43, 2014. Denkena, B. Boehnke, D. and Dege, J. H., “Helical Milling of CFRP–Titanium Layer Compounds, ” CIRP Journal of manufacturing Science and Technology, Vol. 1, No. 2, pp. 64-69, 2008. Teicher, U. Müller, S. Münzner, J. and Nestler, A., “Micro-Edm of Carbon Fibre-Reinforced Plastics,”Procedia CIRP,Vol. 6, pp. 320-325, 2013. Henerichs, M. Voß, R. Kuster, F. and Wegener, K., “Machining of Carbon Fiber Reinforced Plastics: Influence of Tool Geometry and Fiber Orientation on the Machining Forces,” CIRP Journal of Manufacturing Science and Technology, Vol. 9, pp. 136-145, 2015. Liu, J. Zhang, D. Qin, L. and Yan, L., “Feasibility Study of the Rotary Ultrasonic Elliptical Machining of Carbon Fiber Reinforced Plastics (CFRP),” International Journal of Machine Tools and Manufacture, Vol. 53, No. 1, pp.141-150, 2012. Walter, J. Hustedt, M. Staehr, R. Kaierle, S. Jaeschke, P. Suttmann, O. and Overmeyer, L., “Laser Cutting of Carbon Fiber Reinforced Plastics–Investigation of Hazardous Process Emissions,” Physics Procedia, Vol. 56, pp 1153-1164, 2014. Zemann, R. Kain, L. and Bleicher, F., “Vibration Assisted Machining of Carbon Fibre Reinforced Polymers,” Procedia Engineering Vol. 69, pp.536-543, 2014. Riveiro, A. Quintero, F. Lusquiños, F. del Val, J. Comesaña, R. Boutinguiza, M. and Pou, J., “Experimental Study on the CO 2 Laser Cutting of Carbon Fiber Reinforced Plastic Composite,” Composites Part A: Applied Science and Manufacturing, Vol. 43, No. 8, pp. 1400-1409, 2012. Amini, S. Shamoto, E. Suzuki, N. And Nategh, MJ., “FE Analysis of one-Directional and Elliptical Vibration Cutting Processes,” International Journal of Automation Technology, Vol. 4, No.3, pp. 1-7, 2010. Soleimanimehr, H. Nategh, MJ. And Amini, S., “Prediction of Machining Force and Surface Roughness in Ultrasonic Vibration-Assisted Turning Using Neural Networks,” Advanced Materials Research, Vol.83, pp. 326-334, 2010. Barani, A. Amini, S. Paktinat, H. And Tehrani, AF, “Built-up Edge Investigation in Vibration Drilling of Al2024-T6,” Ultrasonics, Vol.54, No.5, pp. 1300-1310, 2014. Amini, S. Khosrojerdi, MR. Nosouhi, R. And Behbahani, S., “An Experimental Investigation on the Machinability of Al2O3 in Vibration-Assisted Turning Using PCD Tool,” Materials and Manufacturing Processes,” Vol.29, No.3, pp. 331-336, 2014. Amini, S. And Mohagheghian, N., “Vibratory Rotary Turning Process of Al 7075 Workpiece. 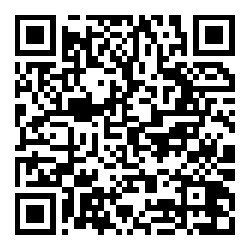 Journal of Materials and Manufacturing Processes,” Vol.29, pp.344–349, 2014. 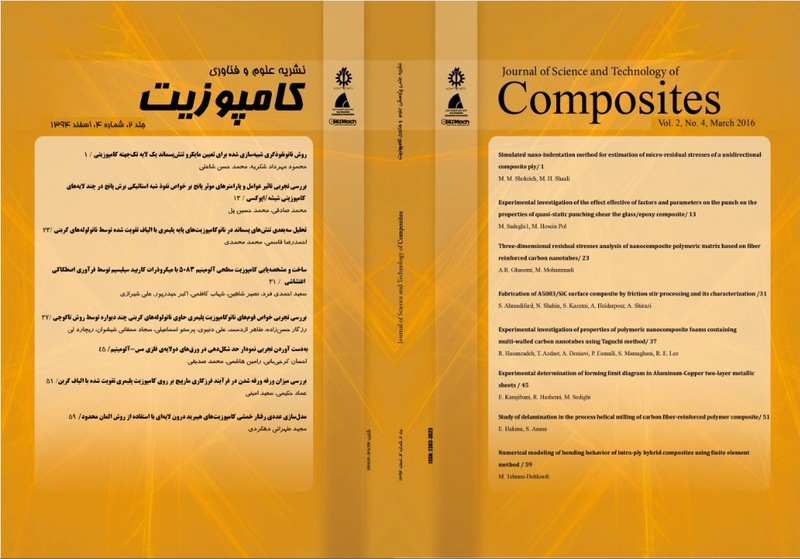 Saadatbakhsh, M. H. Rasti, A. Sadeghi, M. H. Hassanpour, H. and Omiddodman, A., “Empirical Study of Dimensional and Geometrical Tolerances in Helical Milling of AISI 4340 Steel,” In Persian, Modares Mechanical Engineering, Vol. 14, No. 15, pp. 119-126. 2015. Hocheng, H., “Machining Technology for Composite Materials,” Woodhead Publishing Limited, pp. 19-59, 2012.